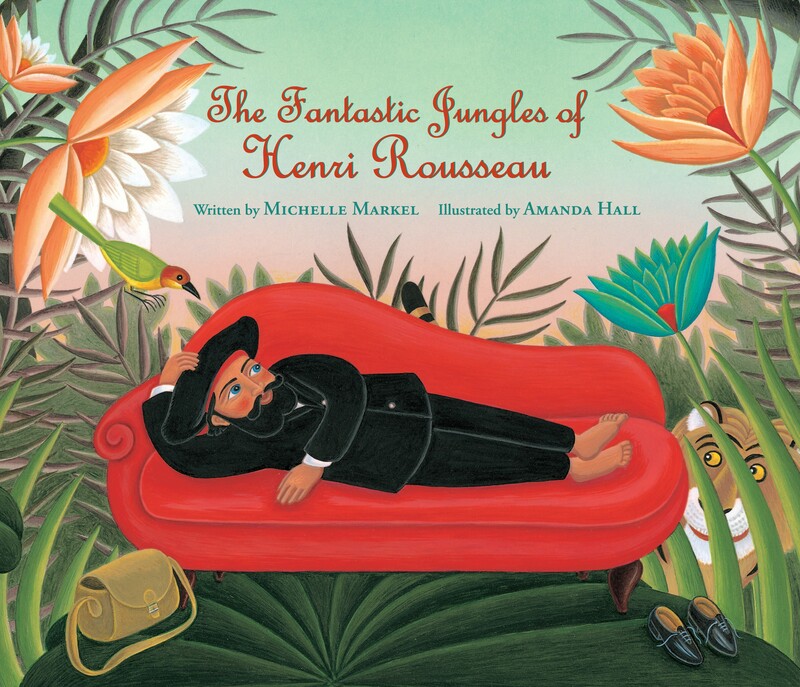 Last month, we shared a book trailer for Michelle Markel and Amanda Hall’s stunning new picture book biography The Fantastic Jungles of Henri Rousseau. What we didn’t share then was the long and winding path that little video took on its way to YouTube. The original version, for example, lasted five minutes. Sadly, we agreed that it was. The original version was cut down to the respectable two-minute trailer we shared in June, but our affection for the original long version of the trailer — which includes more details about Rousseau’s life and several additional illustrations by the talented Amanda Hall — never waned. So we share it now, in the hope that five minutes of inspiring biography and beautiful artwork will, indeed, be useful to somebody. Enjoy! Note: Discerning art critics may notice that the artwork that follows the slide about “The Dream” is not as evocative of Rousseau’s original painting as some of the other illustrations in the video are. This is because Amanda Hall’s tribute to “The Dream” appears later in the trailer as the cover image of the book. Thus, we chose to feature her Rousseau-inspired illustrations from the endpapers of the book as an artistic interlude instead.